We had a great night yesterday! 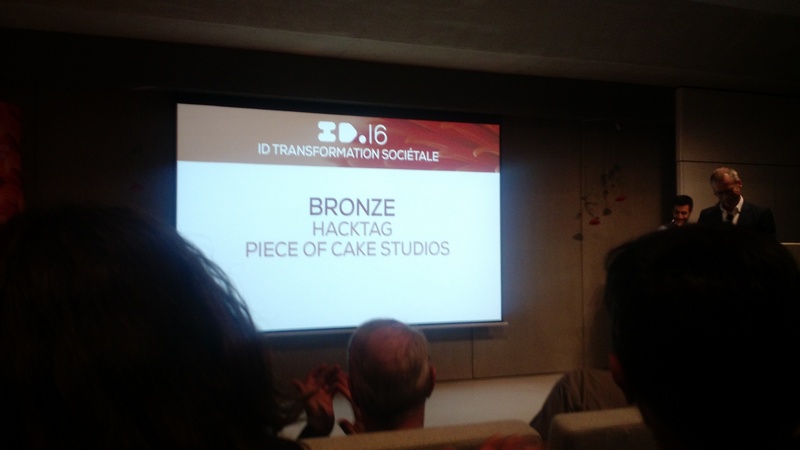 We attented the ID16 ceremony in Paris because the technology we are developing was nominated as a cultural project in the category “Societal transformation” over 60 candidates. That sounds serious right? 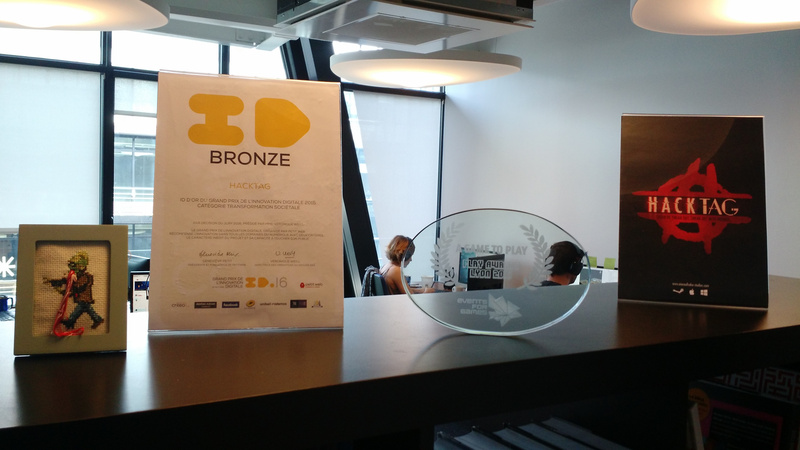 Being nominated as a “cultural project” for a young indie video game studio is a great satisfaction already, but to our surprise the jury (wich was made up with small companies such as Facebook, Criteo or Le Monde) awarded us with the Bronze price! This refreshing news obviously encouraged us to keep working hard on the artificial intelligence and procedural technology that is running on Hacktag and we will develop all over our next games. 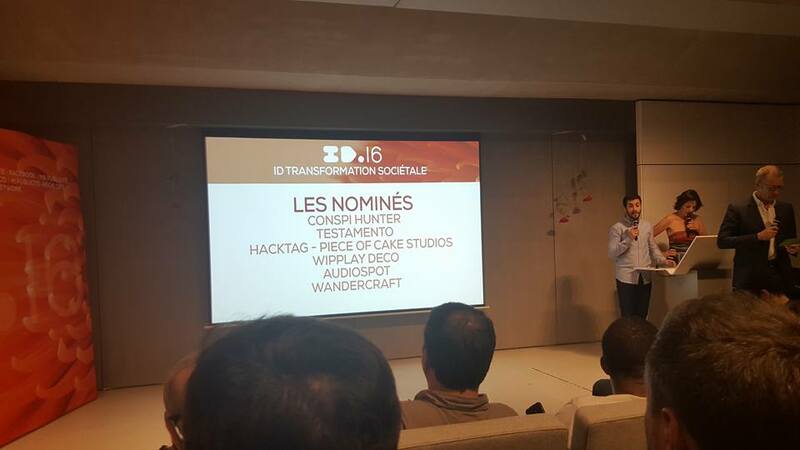 We’re very thankful to the jurors, partners and Petit web the organiser of this event for this recognition. Now after the party back to work! 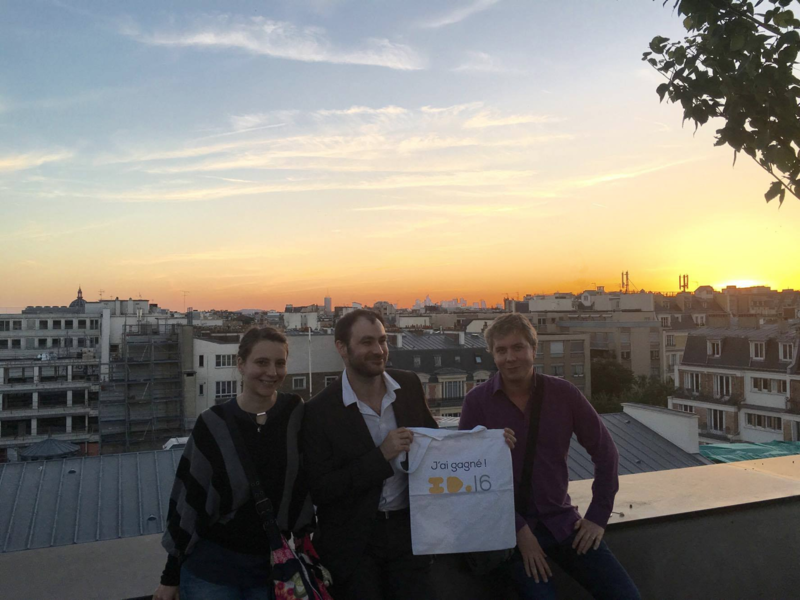 ← Game play award at the IGP6 !